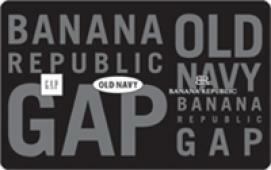 Earn 5 SB per $ when you buy Old Navy gift cards at MyGiftCardsPlus. Old Navy offers great fashion at great prices, for the entire family. Whether you are looking for denim, graphic tees, or wear-to-work style on a budget, Old Navy has what you need. For the nearest store, call 1-800-OLD-NAVY or shop around the clock at oldnavy.com. This eGift Card (â€œeCardâ€?) is issued by Direct Consumer Services, LLC, a California limited liability company, and may be redeemed for merchandise at any Gap brand, Old Navy, Banana Republic or Athleta location, including Outlet and Factory stores.